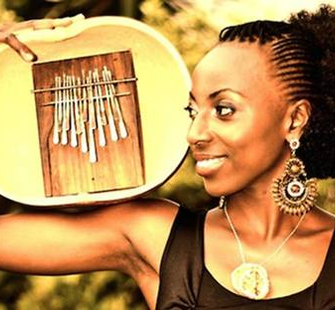 Hope Masike is a Zimbabwe-born mbira and percussion player, singer and dancer. Her career thus far has been a successful mix of recording and performing artist, activist and teacher. Hope’s greatest motivation is the desire to push traditional mbira, an instrument labelled 'demonic' during Zimbabwe's colonial era, into new and contemporary spaces. This spirit has led Hope to numerous collaborations, tours, and artistic expressions across a wide range of mediums. She has toured internationally, performing concerts and festivals throughout Africa, Europe, and the United States. In the past seven years, Hope has released two full-length albums, performed in numerous musical projects, and received the 2012 'NAMA' award for Outstanding Female Musician. She is currently beginning to work on her third album and organizing her first headlining tour of Africa for 2015.